Sometimes it's easy to forget that even the simplest of recipes can be delicious! This recipe was floating around on Pinterest called "Poolside Skinny Dip" and while it is definitely a healthier appetizer...if you eat as much of it as I did, it's not so skinny anymore :) Absolutely delicious and PERFECT for the summer! You won't have to worry about the cream cheese spoiling in the hot sun because it won't last that long! 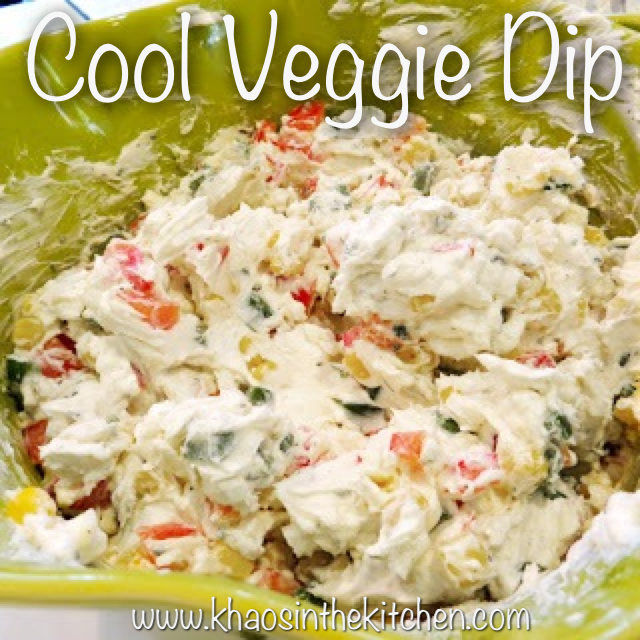 I served this with crackers, but found myself also dipping in other veggies. This will definitely be a staple this summer! The original recipe also called for half can diced olives. I skipped em. Mix thoroughly. Chill for at least 1 hour.